Incertus: Who really is Obama's VP? Who really is Barack Obama's Vice-Presidential choice? 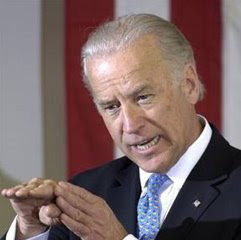 Is Joe Biden really just the senior US Senator from Delaware, who's loved by the press as a gaffe-prone expert on foreign relations, a twice-failed presidential candidate who was busted for plagiarism his first time out (although his gaffes may signal his ability to learn important lessons)? Or is he really Raiden, god of thunder and lightning, who seeks to protect Earth's champions in the final conflict between Earthrealm and the dark forces of Outworld. 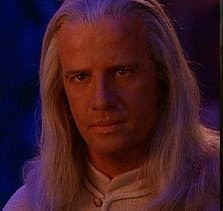 (I started out looking for a picture of Christopher Lambert as Connor MacLeod, but couldn't find one that really worked. I think this is geeky enough.